The home that looks perfect may well be exactly that—but if not, you certainly don’t want to find yourself pouring hard-earned dollars into repairs that become apparent only after you have signed. Surprises are fine for birthday parties, but to avoid the sort no home buyer needs, getting a professional Northeast Florida property inspection is the most direct way to tell if there are any significant underlying issues. To alleviate the worry, you should make any offer conditional on a home inspection…then order up a professional Northeast Florida property inspection done by an experienced Northeast Florida home inspector. It’s important to remember that any Northeast Florida property inspection is not 100% certain to uncover every possible defect: a home inspector, no matter how experienced, is not clairvoyant. But you will receive a thoroughgoing assessment of the potential likely problems with the home’s systems—as well as an opinion on the condition of the home. You may be able to renegotiate your offer should conditions warrant it. Northeast Florida property inspection costs tend to differ depending on the size and condition of the home, and usually take anywhere from 2 to 6 hours to complete. Often, the verbal assessment made at the time will be very informative. Later, you’ll get the fuller detailed written report. If the inspection reveals a deal-breaking flaw, you will have saved yourself from a bad investment. Less commonly, more detailed property inspections could be in order—especially if you are also ordering sewer line, pool, fireplace or other specific inspections. 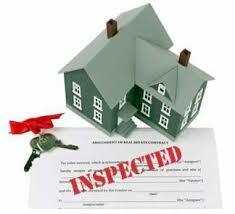 Most inspectors offer discounted rates if subsequent inspections are in order. Property inspections are not intended to offer warrantees or guarantees, but an experienced local home inspection is the next best thing. It’s something most homebuyers find makes their purchase a lot less stressful. If you’re looking at buying a home in Northeast Florida this fall, call me today to discuss the market. And once you find a likely new home, I can recommend several of our most experienced and reliable property inspectors.